Andrei learns to navigate Putin's Moscow, still the city of his birth, but with more expensive coffee. He looks after his elderlybut surprisingly sharp!grandmother, finds a place to play hockey, a café to send emails, and eventually some friends, including a beautiful young activist named Yulia. Over the course of the year, his grandmother's health declines and his feelings of dislocation from both Russia and America deepen. Andrei knows he must reckon with his future and make choices that will determine his life and fate. When he becomes entangled with a group of leftists, Andrei's politics and his allegiances are tested, and he is forced to come to terms with the Russian society he was born into and the American one he has enjoyed since he was a kid. In the late summer of 2008, I moved to Moscow to take care of my grandmother. She was about to turn ninety and I hadn't seen her for nearly a decade. My brother, Dima, and I were her only family; her lone daughter, our mother, had died years earlier. Baba Seva lived alone now in her old Moscow apartment. When I called to tell her I was coming, she sounded very happy to hear it, and also a little confused. My parents and my brother and I left the Soviet Union in 1981. I was six and Dima was sixteen, and that made all the difference. I became an American, whereas Dima remained essentially Russian. As soon as the Soviet Union collapsed, he returned to Moscow to make his fortune. Since then he had made and lost several fortunes; where things stood now I wasn't sure. But one day he Gchatted me to ask if I could come to Moscow and stay with Baba Seva while he went to London for an unspecified period of time. "Why do you need to go to London?" The novel is sprawling; Gessen includes details that some might find mundane or superfluous, descriptions of hockey matches, a play-by-play of Andrei unclogging the kitchen sink and cooking kasha, and a long description of a documentary about the poet Tsvetaeva. However, these scenes serve purposes: providing the reader with Russian historical background, or illustrating Andrei's growing affinity for his native land, idiosyncrasies and all. At its core, A Terrible Country is about feeling alien, and how it is possible to use that alienation to one's advantage. It is moving, troubling, and even funny on occasion, in a particularly Russian way that will appeal to fans of Dostoevsky and Gogol. While the ending of the novel is a little unsatisfying, it is true to its protagonist, and makes narrative sense. Furthermore, it is apt; Russian literature is not known for happy endings. (Reviewed by Lisa Butts). Taking such an intimate trip through the recent past of Putin's Russia is fascinating, made more so by the presence of Andrei's lively, sorrowful, unpredictable grandmother. Timely and engaging ... Moscow-born Gessen displays an affecting sympathy for the smaller players on history's stage. Starred Review. Excellent and trenchant... 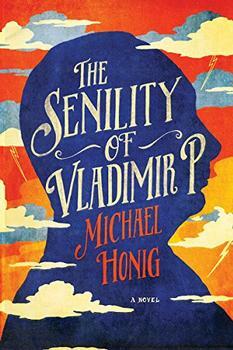 While poised to critique Putin's Russia, this sharp, stellar novel becomes, by virtue of Andrei's ultimate self-interest, a subtle and incisive indictment of the American character. Starred Review. With wit and humor, ­Gessen delivers a heartwarming novel about the multitudinous winding roads that lead us home. A cause for celebration: big-hearted, witty, warm, compulsively readable, earnest, funny, full of that kind of joyful sadness I associate with Russia and its writers. By turns sad, funny, bewildering, revelatory, and then sad again, it recreates the historical-psychological experience of returning, for twenty-first-century reasons, to a country one's parents left in the twentieth century ... Gessen is a master journalist and essayist, as well as a storyteller with a scary grasp on the human heartstrings, and A Terrible Country unites the personal and political as only the best novels do. A Terrible Country is an engaging and entertaining novel, full of humor and humility...his affectionate, clear-eyed portrait of one terrible country has plenty to teach us about our own. A fun, funny but sincere novel that explores with real integrity what it means to be an American ex-pat who can always leave, A Terrible Country is one of the most addictive and affecting books I've read in a while. I would not hesitate to recommend this novel to a busy person who otherwise refuses to touch fiction. The only up-to-the-minute, topical, relevant, and necessary novel of 2018 that never has to mention Trump. Keith Gessen has written a poignant yet laugh-out-loud portrait of the new Russia of nightclubs, black Audis, and Wifi cafés, still haunted by an old Russia of kasha, hockey, and Soviet movies. A Terrible Country is a serious book that's a pleasure to read, full of love and sorrow. For those of us who have grown up reading Russian literature, from Chekhov to Babel to Svetlana Alexievich, following this Americanized narrator through his return to contemporary Moscow offers an education and pure delight.